The global movement supporting the Palestinian people’s right to freedom, justice and equality has taken impressive steps into the political mainstream in recent years. 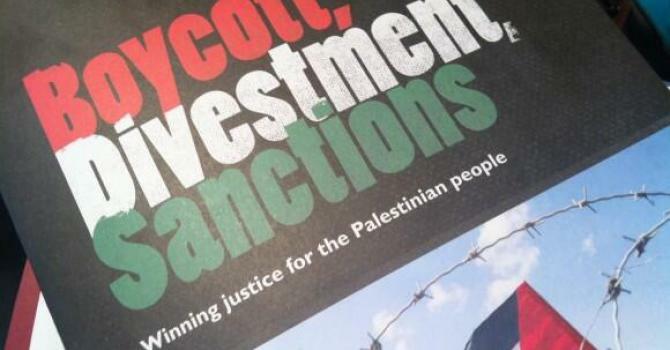 Efforts by the Palestinian-led Boycott, Divestment and Sanctions (BDS) movement to hold Israel accountable for its serious violations of international law and to end international complicity in these violations are more widely supported and impactful than ever before. Israel’s current government, its most racist ever, has dropped all pretences of “enlightenment” and “democracy”. This has helped to expose Israel’s regime of occupation, settler-colonialism and apartheid to world public opinion like never before. In this context, and given the fast spread of BDS in recent years, Israel has tried hard but failed to slow down its gradually intensifying international isolation in the academic, cultural, sports and, to a lesser extent, economic sphere. As a result, Israel, its lobby groups and its right-wing supporters have launched an unprecedented, well-funded global campaign to silence Palestinian narratives and criminalize BDS advocacy, especially in western countries. Israeli-induced attacks on free speech and civil rights in Europe, the US and Canada, among others, are fostering an ominous environment of bullying, intimidation and repression that has all the hallmarks of the era of McCarthyism in the US and the worst days of the apartheid regime in South Africa. In a desperate attempt to suppress BDS from above, after losing many battles for the hearts and minds at the grassroots level, Israel and its pressure groups, including anti-Palestinian billionaires, are pressuring governments, legislatures and officials in the west to implement patently anti-democratic measures that threaten civil liberties at large. This should deeply concern not just activists supporting Palestinian rights, but all those who value civil liberties as well as progressive movements struggling for racial, gender, social, economic, indigenous and environmental justice. The authoritarian measures adopted against BDS so far include the prosecution of BDS activists in France, like the recent arrest of an activist for wearing a BDS t-shirt; proposals to exclude organisations that support BDS in the US from public funding or contracts; the Canadian parliament’s condemnation of BDS and threats against Palestine solidarity groups; and the British government’s intimidation of local councils that have voted to support BDS measures, among other attacks on local democracy in the UK (more details on all these below). Glenn Greenwald has described this well-orchestrated series of draconian measures as the “greatest threat to free speech in the West”. Yet Israel’s exceptionalism in some mainstream quarters in the west remains intact. The Palestinian BDS National Committee (BNC), the broadest coalition in Palestinian society that is leading the global BDS movement, stands in full solidarity with BDS activists in France and elsewhere who are facing witch-hunts and persecution for their principled advocacy of Palestinian human rights. While they may succeed in chilling freedom of expression at first, anti-democratic legislation and legal bullying cannot possibly hide or make more palatable Israel’s crimes against the indigenous Palestinian people. Ultimately, a fast increasing number of progressives and liberals around the world are learning about and condemning Israel’s ongoing siege of the occupied Gaza Strip, its incessant theft of Palestinian lands and resources, and its ongoing ethnic cleansing of entire Palestinian communities, especially in and around the Jordan Valley, East Jerusalem and the Naqab (Negev). We are encouraged by the Swedish foreign ministry’s statement re-affirming basic democratic principles by stating that BDS “is a civil society movement” and that “governments should not interfere in civil society organization views”. Sweden is now the first western country to openly break away from Israel’s incessant bullying and has taken a courageous step that other governments should follow. 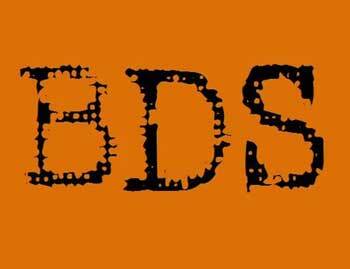 We urge human rights organisations and other civil society entities worldwide, irrespective of their own views of BDS, to adopt the principled position of defending the right of people and organizations to engage in BDS campaigns. BDS is inspired and inspiring. It is a movement that is inspired by our people’s long heritage of non-violent popular resistance, the South African anti-apartheid movement and the US Civil Rights movement, among others. It is in turn inspiring a whole generation of Palestinian and international activists, academics, artists, feminists, racial and social justice movements, LGBTQ advocates, and others, to speak truth to power in the pursuit of our respective inalienable rights. United, we shall overcome. In 2010, then justice minister Michèle Alliot-Marie issued an instruction to state authorities that “Article 24, line 8 of the 1881 law on the press allows the punishment of citizens or organizations who call for the boycott of goods from a country whose policies they criticise” on the grounds that such a call constitutes discrimination. Since then, more than 30 activists have faced criminal charges over their participation in nonviolent BDS advocacy. In October 2015, the Court of Cassation, France’s highest appeals court, issued a ruling stating that the call to boycott Israeli products on the basis of their “origin” is illegal. BDS calls for the boycott of Israeli products on the basis of complicity, not identity. Israeli companies are complicit in violating international law, and trade with Israel while it maintains its system of oppression against the Palestinians, as was the case with apartheid South Africa, is a form of support for its regime’s human rights violations. Using a false and arbitrary interpretation of the Court of Cassation ruling to claim that all activities in support of BDS are illegal, there have since have been a number of attempts by the police to prevent demonstrations in support of BDS from taking place. In early March, a solidarity activist was arrested simply for wearing a tshirt supportive of BDS, as was reported. Prime Minister Manuel Valls recently stated that he would speak with the Ministry of Interior to discuss what further measures could be taken to repress BDS activism. Despite all of this state-backed repression, the BDS movement in France continues to mobilise wide support, including through street demonstrations, for the end of international complicity with Israeli apartheid and settler colonialism. On July 23, 2015, Illinois Governor Bruce Rauner signed the country’s first explicitly anti-BDS state law. This new law requires the creation of a state-run “blacklist” of foreign companies that heed calls for boycotting Israel and compels the state’s pension fund to divest from those companies. Bills introduced in Congress, New York, Illinois, and Maryland sought to defund or reduce government funding to colleges and universities that fund or subsidize activities and participation in groups, including the American Studies Association, that endorse academic boycotts of Israel. In June 2015, President Obama signed the Trade Promotion Authority (TPA) into law. This broad free trade law included provisions opposing BDS and making it a principle trade objective during negotiations with the European Union for the United States to discourage “politically-motivated actions to boycott, divest from, or sanction” Israel and “Israeli-controlled territories”. The UK government press release announcing the measures included a number of smears against the BDS movement, falsely claiming that it calls for a boycott on the basis of ethnic identity. Justice Minister Michael Gove made similar smearsduring a recent speech. Public procurement: On 17 February 2016, the Cabinet Office published a Procurement Policy Note (PPN)1 that restates existing legal obligations regarding public sector procurement processes. It uses World Trade Organisation (WTO) rules to argue that public bodies cannot refuse to deal with a company because of its “country of origin”. However, the WTO Public Procurement agreement does allow for any measure enacted in order to “protect public morals”. The government document is clearly designed to have a chilling effect and to intimidate councils into falsely thinking that they are no longer allowed to exclude companies that violate human rights from tender exercises. However, the document does not introduce new legal obligations or requirements for public bodies. Nor does the policy guidance note prevent local councils from excluding companies from tendering processes due to their role in human rights violations, confirmed to be perfectly legal by the previous government. Local government pensions: On 25 November 2015, the government launched a consultation regarding new regulations for how local government invest pension funds. This includes a proposal to give the Secretary of State veto power over local authority investment decisions and states that the government will publish additional guidance making clear that investment decisions “should not pursue policies which run contrary to UK foreign policy”. That guidance has not yet been published.